Combine mayonnaise and Sriracha sauce in small bowl. Set aside. Place remaining ingredients in a food processor with metal S blade. Pulse chop to a coarse ground texture. Shape mixture into 4 (3-inch diameter) patties about ½-inch thick. Attach bottom grill plate to Grill & Broil and preheat on HIGH broil to 375°F. 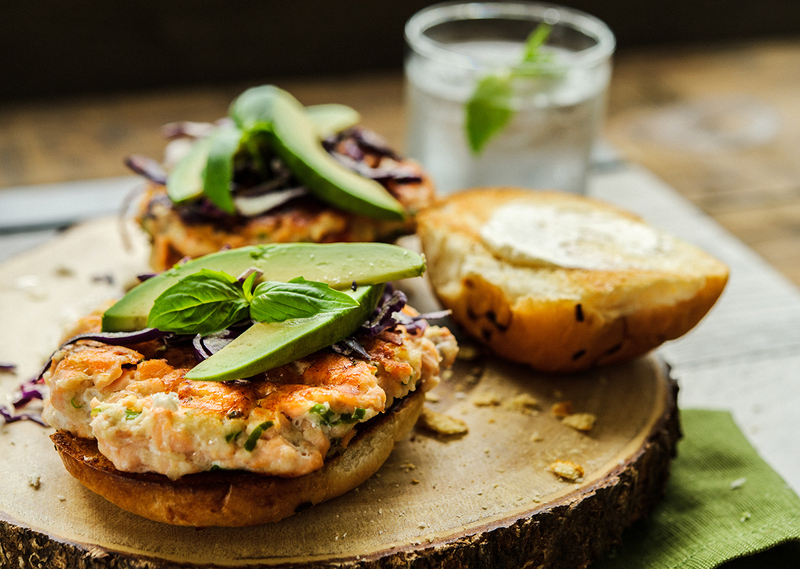 Cook salmon burgers 8-10 minutes turning over halfway through cooking until done (min. 145°F). Spread cut side of buns with Sriracha mayonnaise. 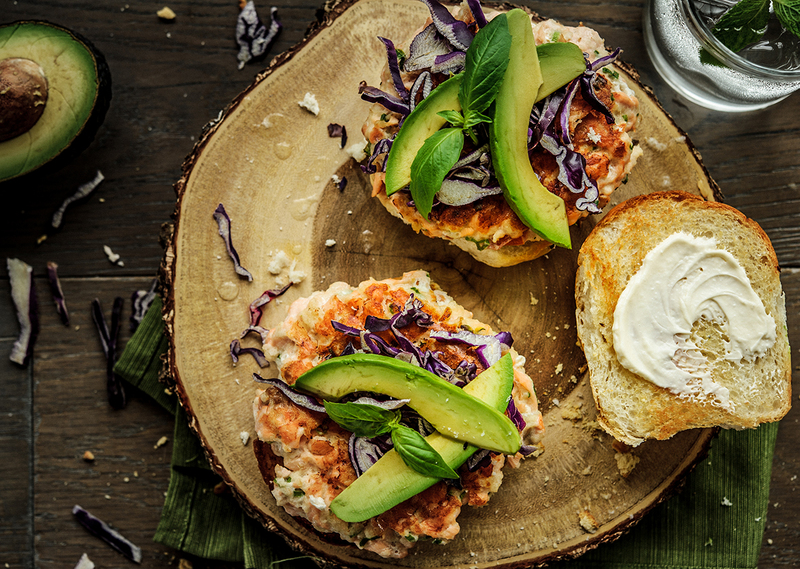 Fill buns with salmon burgers and shredded red cabbage, basil sprouts or sliced avocado, if desired.